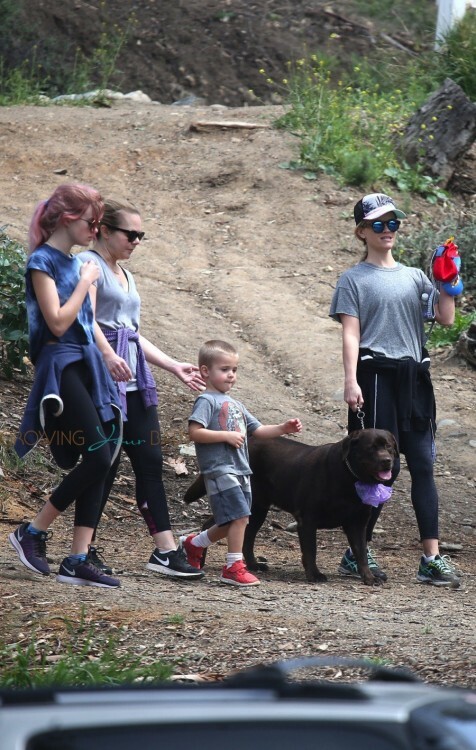 Reese Witherspoon started her Saturday off by taking an early morning family hike in the Santa Monica Hills. The actress was joined by her daughter Ava, son Tennesse, a friend and the family dog. 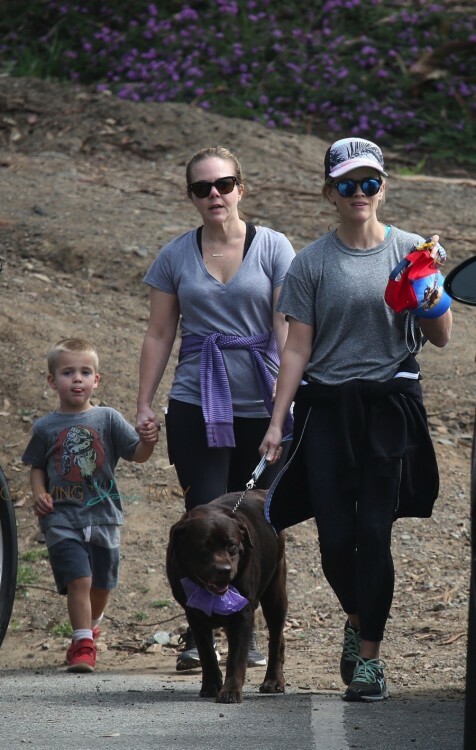 Reese carried her son’s Paw Patrol hat while leading Hank through the trail. Later, the 39-year-old mom of three was spotted running some errands in a bright yellow leather jacket and white striped blouse. Reese has been busy lately promoting her new lifestyle company Draper James. Named after her grandparents, the company sells clothing, housewares and accessories with a Southern, modern design. The company may be off to a rough start after they were sued earlier this month for copyright infringement over the 6-point Magnolia that is used in their logo and some of their designs. TMZ reports that Jordann Weingartner says she created in 2008, and got a copyright for a “distinctive six-pointed floral design” which she called Magnolia. The designer is looking for $5 million in compensation.